Happy Halloween, everyone! I promise only treats, and no tricks today. As One LibraryThing, One Book continues to grow, I’m already halfway through the book, and we’ve got some great discussions going. I have exciting news for UK members interested in joining us. Penguin UK has offered us 10 copies to give away to members located in the UK! Click here for your chance to score one. Please note, since this is a special give away, time is short, and we’ll be closing the giveaway for requests on Sunday, November 3rd at 6pm Eastern. I’m thrilled at the response we’ve gotten regarding our first One LibraryThing, One Book project. We already have 101 members in our Talk group, and it’s been growing every day. I have some great news for Canadian members interested in joining us. Knopf Canada has been kind enough to offer 10 copies for us to give away to members in Canada. Click here for your chance to score one. Please note, since this is a special give away, time is short, and we’ll be closing the giveaway for requests on Friday at 6pm Eastern. In the grand tradition of The Big Read and One City, One Book projects everywhere, LibraryThing is beginning its first ever, LibraryThing-wide read. It’s a bit of an experiment, and there has been much discussion on Talk about how to make it work. 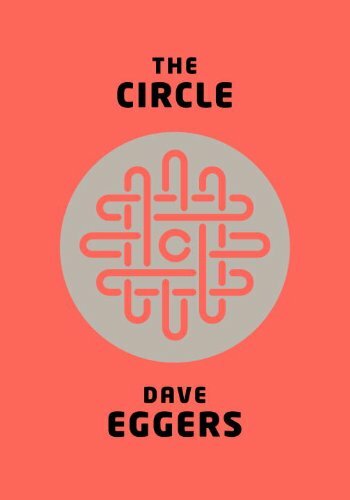 For our first One LibraryThing, One Book selection, we’ll be reading Dave Eggers‘s The Circle. This one is a bit of an ironic pick by Tim—a dystopia about social networking, ha ha. If it doesn’t strike your fancy, don’t worry—in the future, we’ll expand the selection process to allow for member voting, in some fashion. Head on over to One LibraryThing, One Book and join up. Get a copy of The Circle. Start reading, and try to finish by Monday, November 18. In the interest of keeping discussion lively and spoiler-free, we’re setting the start date for discussion of The Circle as Monday, November 18th, at 9pm Eastern. Prior to that time, please use the “Introduce Yourself” or “First Impressions” threads to talk about your thoughts on the book as you’re reading. Ten free copies up for grabs! Thanks to the nice folks at Knopf, we’ve got 10 free copies of The Circle up for grabs, as a special extra batch in Early Reviewers. Go here to request one! You can check out and contribute to the discussion that spawned this project on Talk.